What is the best way to compare mortgages? 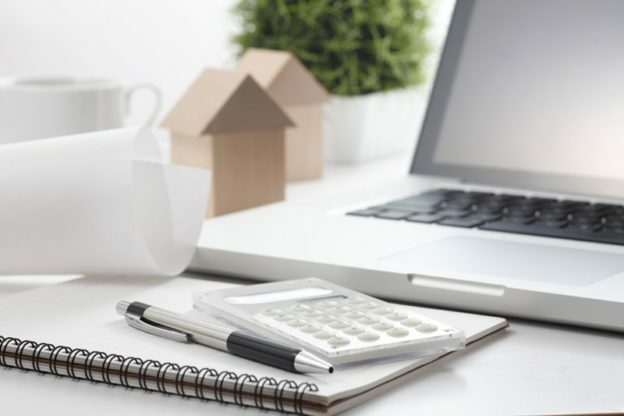 Whether you are a first-time buyer about to take out a mortgage for a new home or are thinking about extending the term of an existing mortgage, comparing the offers on the market is essential to get a mortgage with optimal conditions. However, this process is time-consuming, complex and sometimes difficult. With MoneyPark, the comparison of mortgage interest rates is quite simple: we offer competent and comprehensive advice on the subject of mortgages. This means that you will not only find the most favourable interest rates but also the optimal financing strategy adapted to your individual life situation and risk adjustment. Mortgage comparisons are still relatively little used in Switzerland. The acquisition of a property generally means that you have to commit yourself to a specific credit institution in the long term. However, most people are still afraid to look for suitable offers in the mortgage comparison across Switzerland. Many simply accept the offers made by their current bank or insurance provider. However, our experience shows that a bit of time and effort makes a huge difference in the long-term. How big the difference actually is, despite generally low interest rates, becomes only clear when comparing mortgage rates. Even small differences represent enormous potential savings due to the high credit amount and the long-term nature of the loan period. A sample calculation: Even if expensive and favourable offers only have a difference of 0.5 percent, the difference is noticeable over a long term period. For a mortgage debt of 500,000 Swiss francs, this amounts to CHF 2,500 per year. Over the entire term of 5 years, this means that the mortgage comparison alone can save more than 12,000 francs. It's an amount of money that could make a considerable difference to your household budget, creating leeway for unplanned purchases or impulse buys. Fixed-rate mortgage: This mortgage is concluded with a fixed interest rate for the entire term. Typical terms are between 2 and 10 years. This mortgage is less risky compared to the other models. As the interest rate remains constant, no additional charges are incurred in the event of rising interest rates. However, this also means that one is not able to profit if the interest rates for fixed rate mortgages become more favourable. Variable-rate mortgage: The interest rate of a variable mortgage is regularly adjusted by the bank based on market trends. Variable mortgages are considerably riskier than fixed-rate mortgages. In the long term, mortgage borrowers must plan for fluctuations and, in the case of rising interest rates, also be able to repay more per month. On the other hand, falling mortgage rates mean that the monthly burden decreases. LIBOR mortgage: This mortgage model is based on the London Interbank Offered Rate, an average interest rate for money transactions between large international banks, which is established daily. The term is usually between 2 and 6 years. The mortgage is then fixed for the next 1 to 6 months, depending on the agreement, then an adjustment is made. The interest rates of LIBOR mortgages are subject to short-term fluctuations. If you are looking for a suitable first or second mortgage, MoneyPark offers detailed expert advice. We will explain all important aspects and define your optimal financing strategy. In order to find the right financing partner, we cooperate with more than 100 banks and insurance companies. This means that you can find and compare the best mortgage rates with little effort. But we do not only offer advice on mortgages. We gladly help you find a tailored investment solution or a suitable life insurance for your personal situation. Whether you are looking for a mortgage, an investment or a pension planning solution - we are prepared to go the extra mile to find the best product for you.